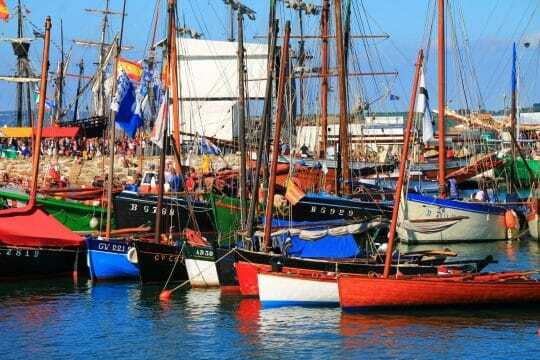 Escape to the Paimpol Festival, France. 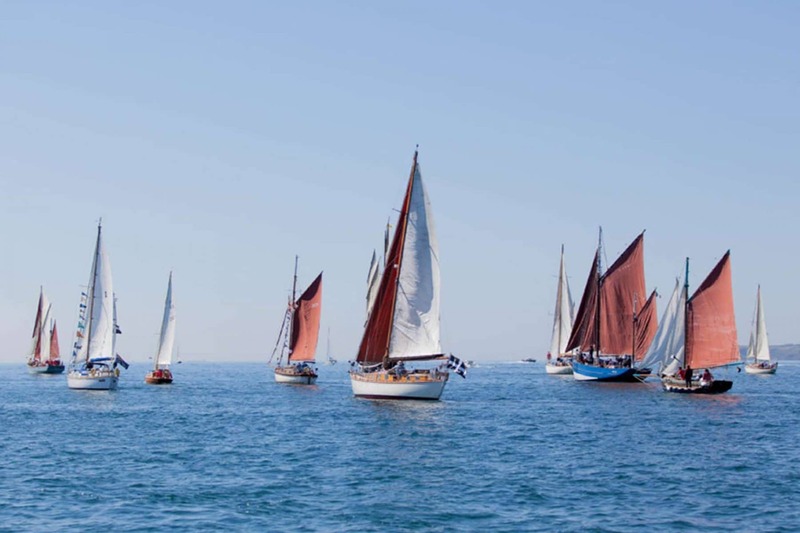 A Weekend of sailing, shanties and French cuisine. 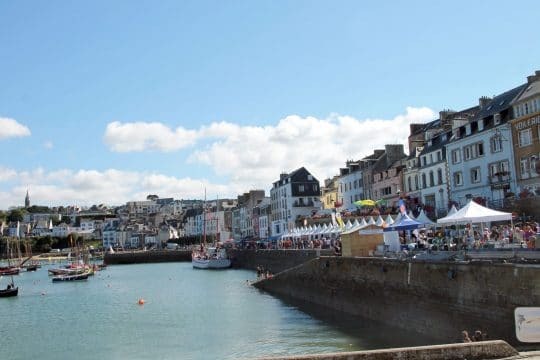 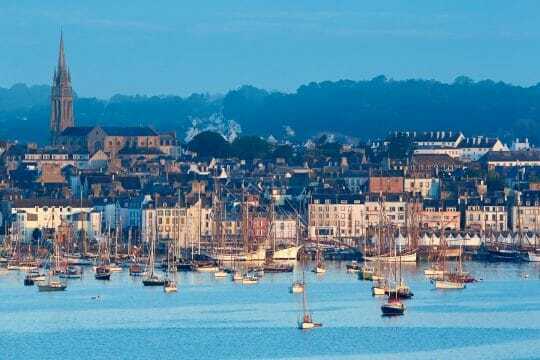 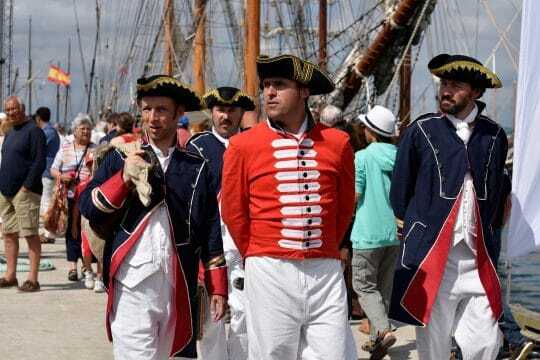 Sail from Dartmouth, head south across the channel and over to the Paimpol Festival in Brittany, France for a holiday of sailing, music and merriment. 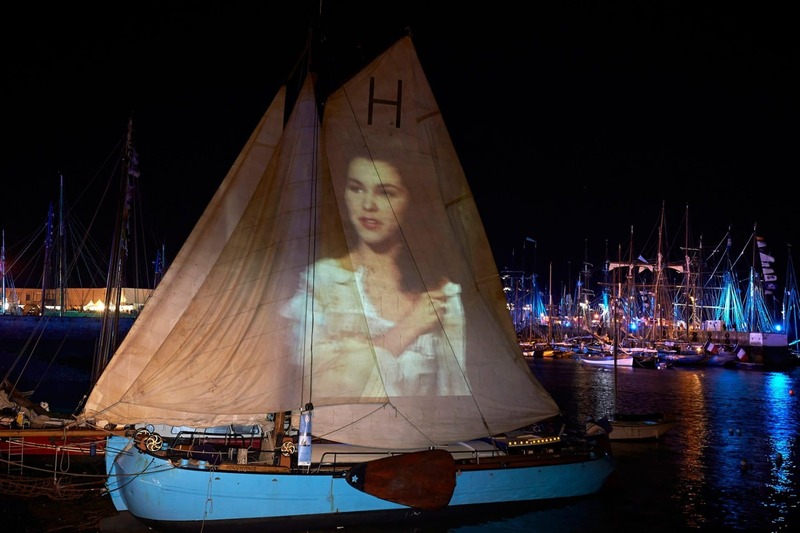 Join Escape as she sails from her home port of Dartmouth, Devon to the Paimpol Festival in the Gulf of St. Malo, France. 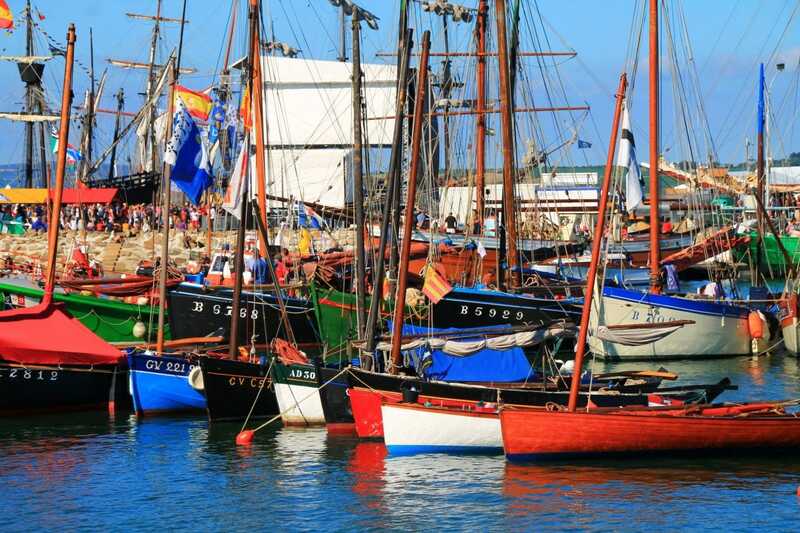 A festival internationally renowned for its maritime history, classic boats and good music. 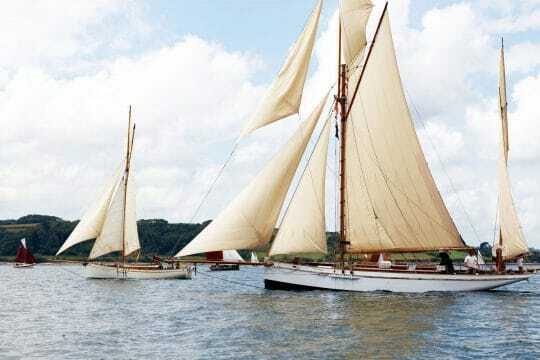 The winds and the tides will, of course, dictate Escape’s route and itinerary. 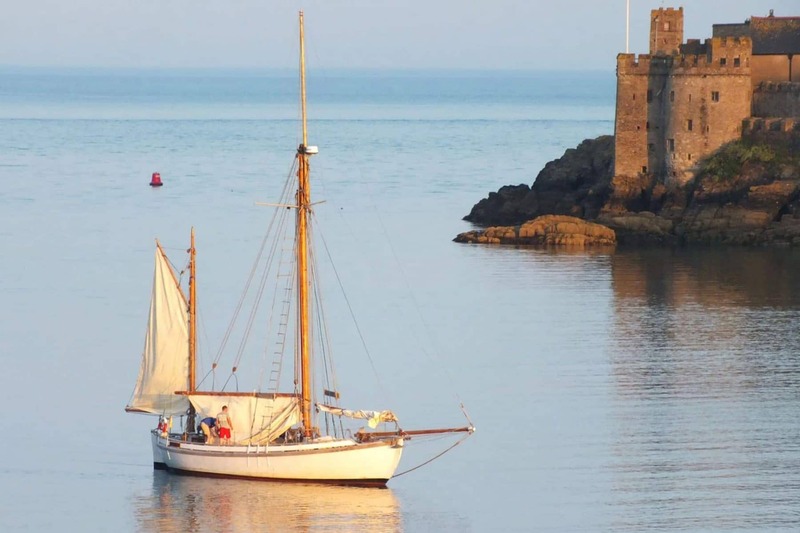 She will either sail over to the Channel Islands or straight down to the French coast. From the Channel Isles, there are plenty of interesting anchorages to explore, and perhaps Escape will moor in the sweet village of Lezardieux before continuing to the festival town of Paimpol. 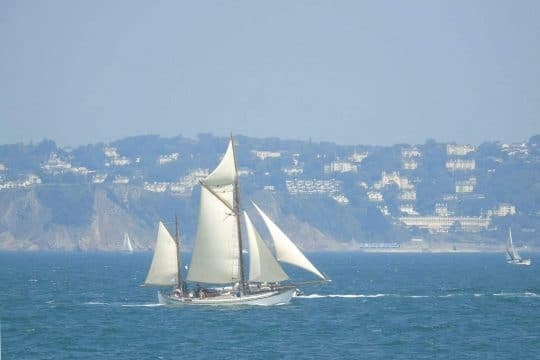 By the time you reach the French coast, classic vessels from all over the world will be spotted, sailing down for the festival. 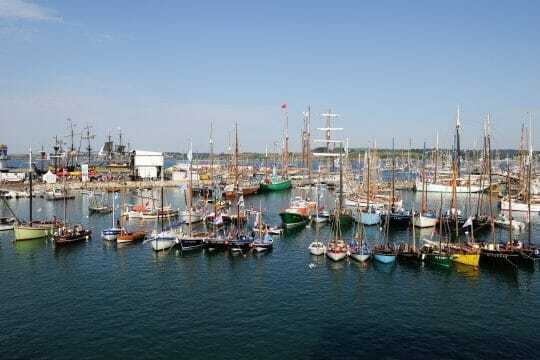 Many also stop at Lezardieux before making the final leg of their journey down, often forming an unintentional parade of sail, with traditional vessels racing past Ile de Brehat before sailing into Paimpol’s small harbour. 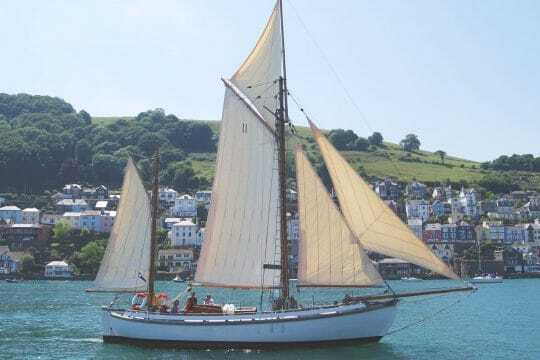 Nose to tail with other wooden and classic ships, Escape will navigate her way to her festival berth as the atmosphere really starts to ramp up. 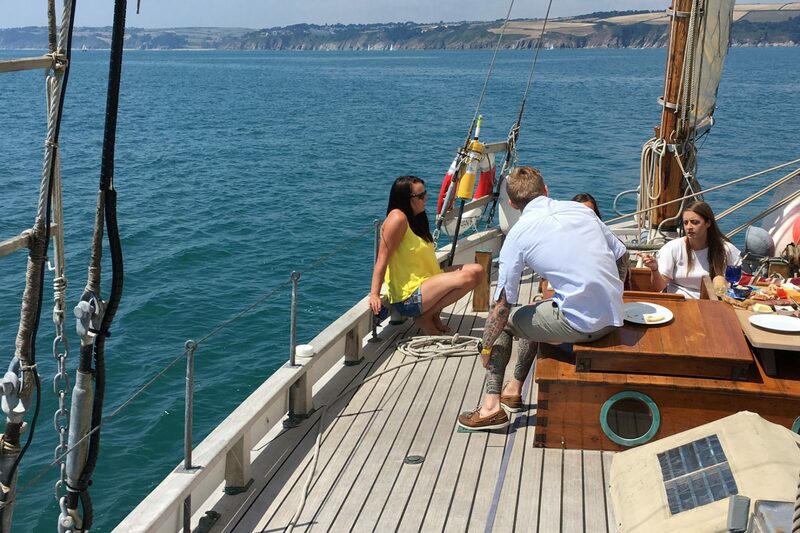 Once moored, you’ll be able to head onto the pontoon and explore. Many of the boats will be open to the public so you can have a good look around. 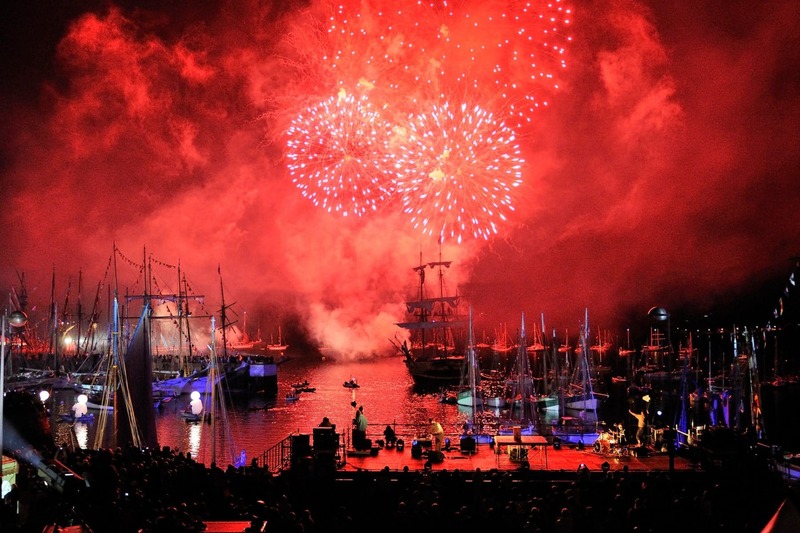 As the evening draws in, the music side of the festival truly comes alive. 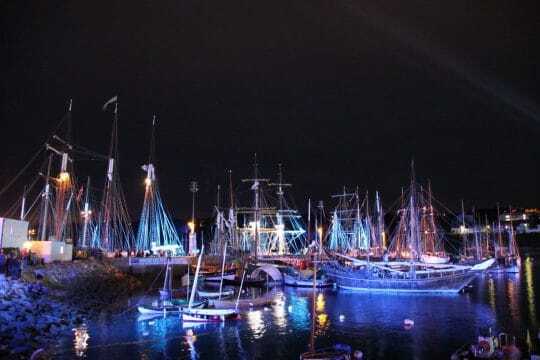 With sweet Breton cider, good French wine, and traditional music, dance the night away at the festival and return to Escape and enjoy the company of your crew and fellow shipmates on board. See Paimpol Festival website for lots more information. 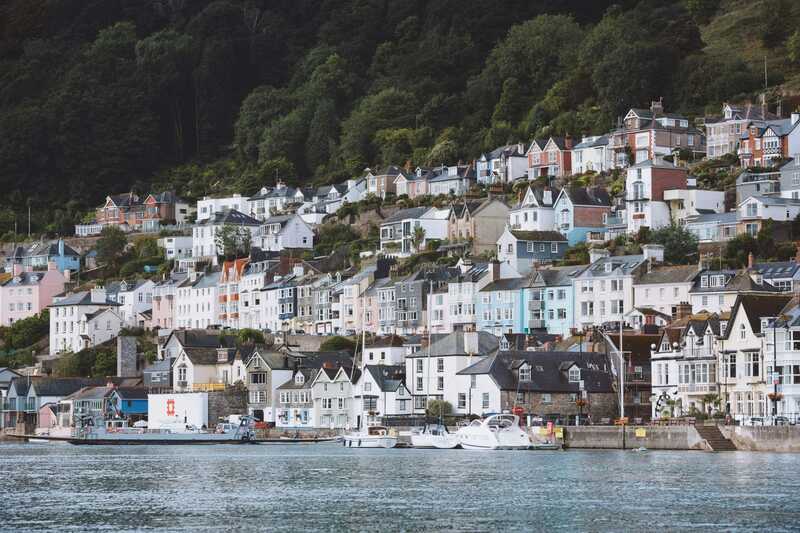 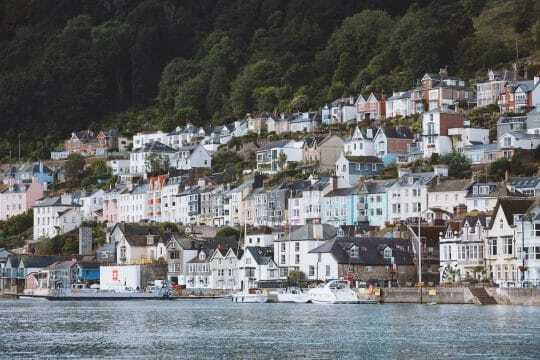 With sea shanties, brass bands, buckets of maritime history and beautiful boats, this 10-day voyage incorporating the three-day festival is a must-see experience for all abilities and ages. Paired with a Channel crossing, this really is the adventure of a lifetime!